Not all events/attempts were recorded. View the Youtube video playlist here. 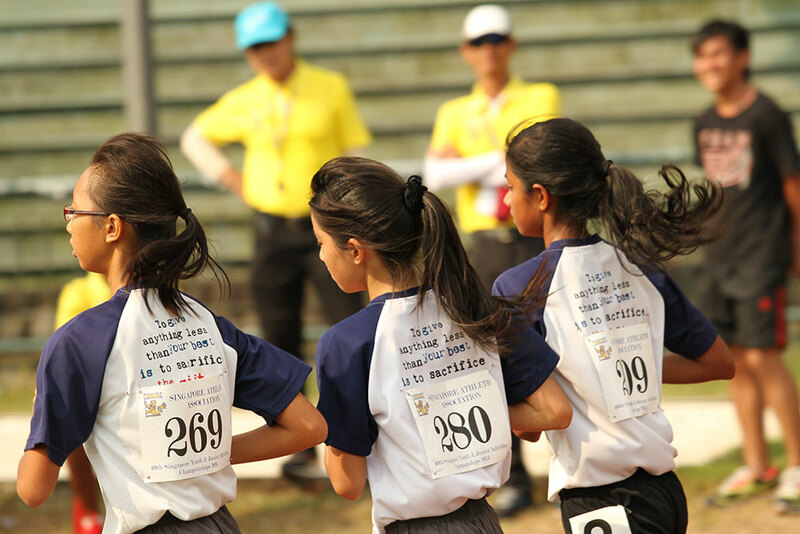 Post by Singapore Athletic Association. In fine form last weekend, Brian See of RIJC 45.27m effort earned him a gold medal in the boys junior discus throw 1.75kg. 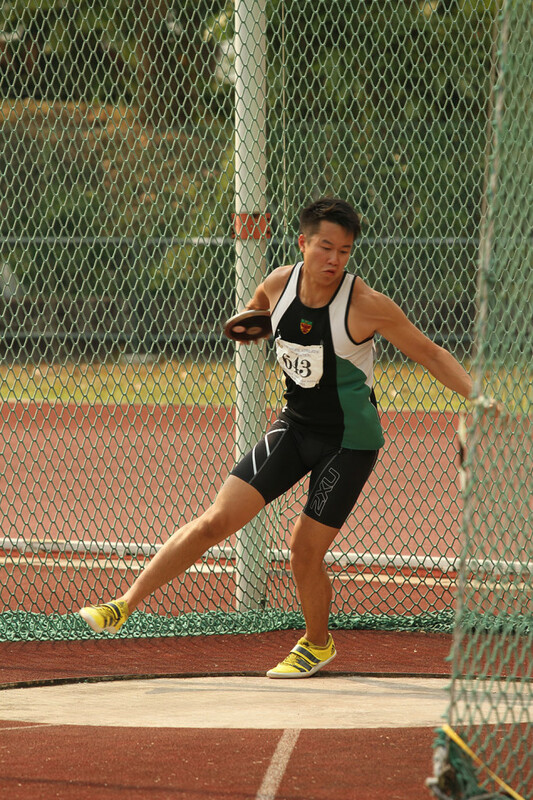 The 18-year-old has grown strength to strength each year, and is working towards the current national junior record in the event which is 49.60m, held by Scott Wong. 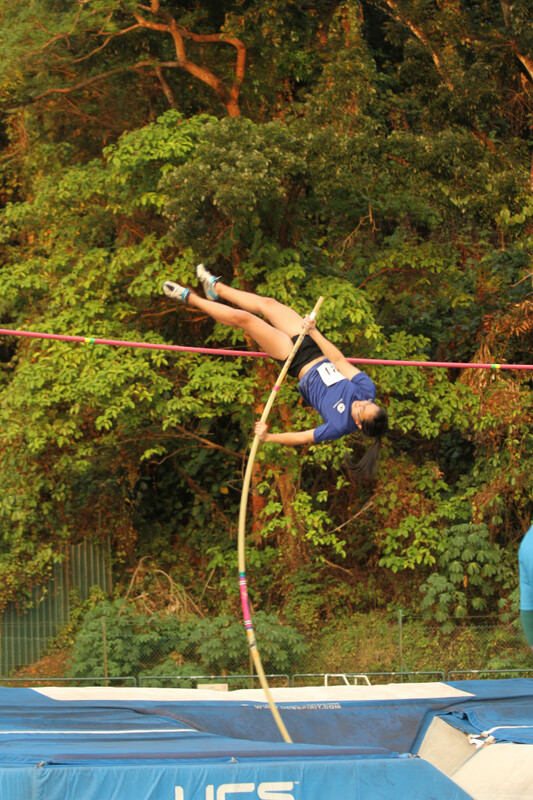 Carmel Teo of JJC came out tops for Girls Pole Vault Junior event at SYJAC with a height of 2.70 metres. 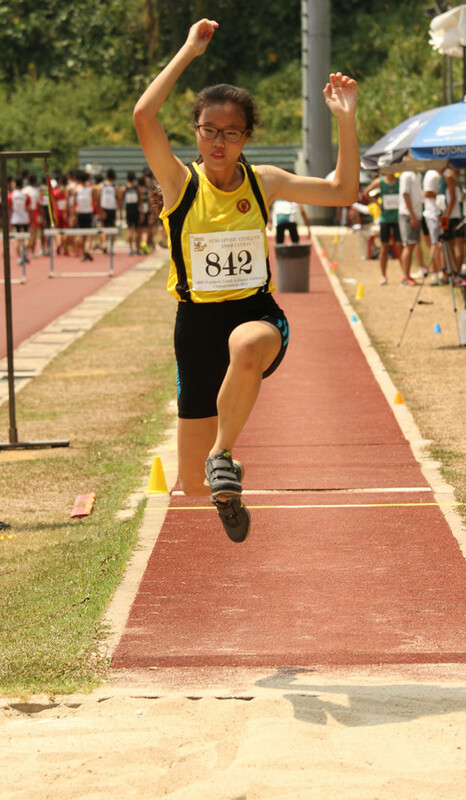 The diminutive Lynette Lim, the current women triple jump record holder was the only girl who managed to jump beyond 11 metres at the SYJAC. Her 11.65 metres effort (1.6m/s) was good enough for gold but the 17-year-old was also hoping to improve upon her 11.79m record. 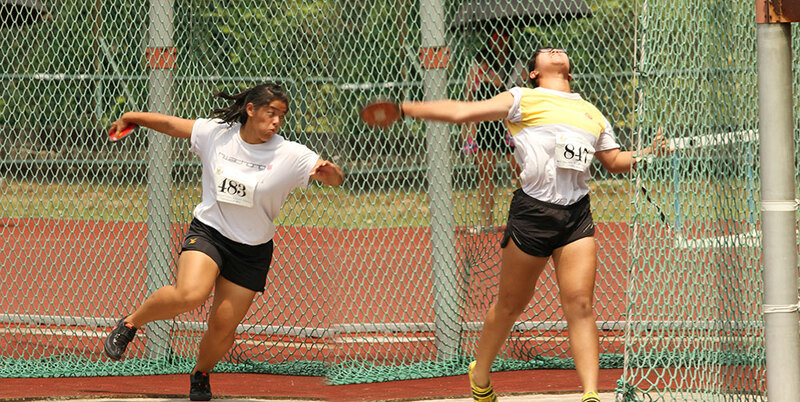 Alicia Long (#483) triump over Fiona Ng (#847) at the SYJAC in the women 1kg discus throw junior category event this time. The former who hails from HCIC threw 32.73m, while the latter 32.12m. It will be an interesting matchup between these two running up to the National Schools. Rozario, Tia Louis looks good to defend her 80 metres title come this National School T&F C’ships after securing a convincing win at the SYJAC (12.49s in heats & 12.52s in finals). 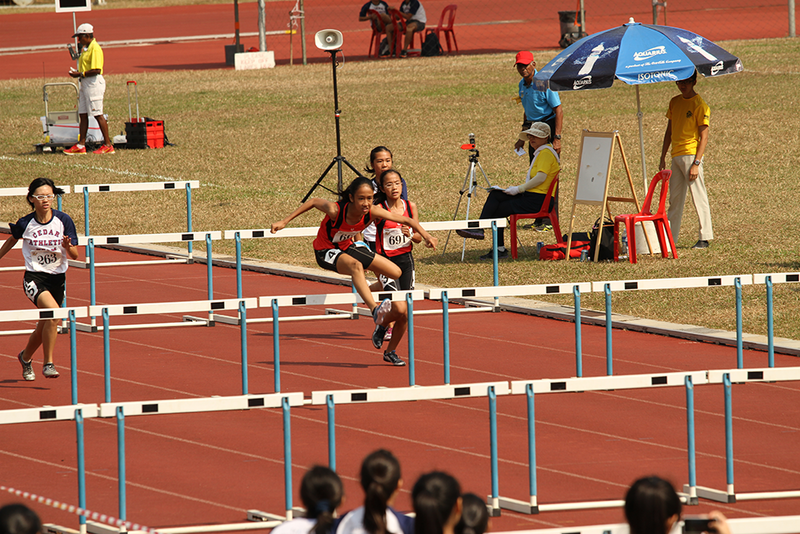 The Singapore Sports School student won last year Nationals in 12.83 seconds and if her timings this year are of any indication, the National School (12.44s) and U15 (12.37s) record for the 80 metres girls will be broken.